During hot summer months, I always think about that time I did a two-week study abroad in Australia. It was during Christmas break, but it was hotter than hell there - Australia's summer. Even though the weather was stiffling, I still long to go back one day. 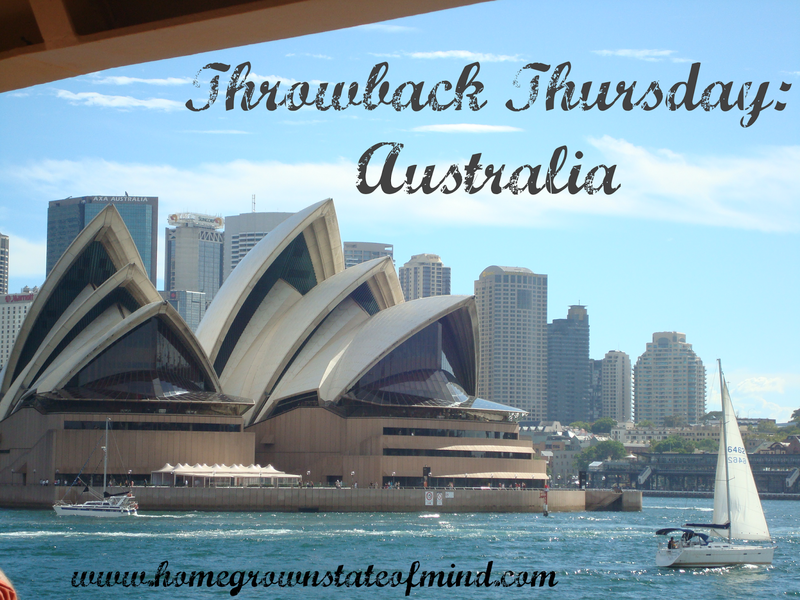 So, in honor of Throwback Thursday, here's a little about my trip down under in 2008. We hiked through the rainforest on several occasions. *Note: I took this trip pre-Paleo. My, how I've changed since then! We stayed in a hut for a couple of days in the middle of the rainforest in Cape Tribulation. 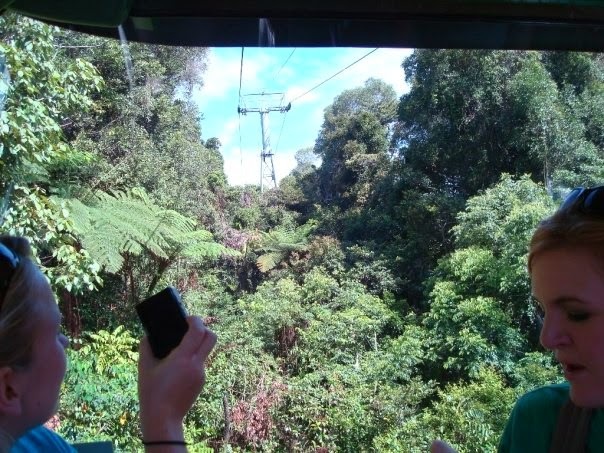 And got to ride a skyrail over the treetops of the rainforest. It was a bit scary, but pretty neat to see. While we were in the water, the ship's crew was on "shark patrol." Eek. Luckily we didn't see any while out there. Isn't that view beautiful? It was breathtaking. Cape Tribulation had a rainforest on the beach. 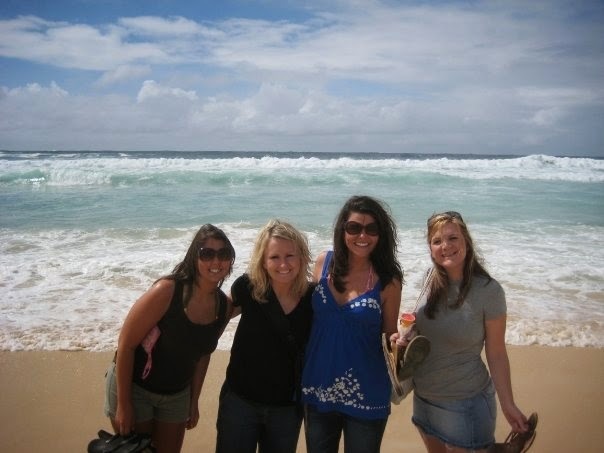 My Australia besties: Savannah, Andria and Liz. Oh, the adventures we had! Manly Beach was beautiful too. The Sydney Opera House was stunning. We got to take a tour inside, and it's really remarkable. Sydney Harbour Bridge was huge! You could pay to climb to the top, but I didn't do it. Lazzyy. Darling Harbour was just that - darling, and fun! I loved the city of Sydney! So much to do and see. One week there was not enough. We went to a lake area on top of a mountain outside of Cairns - the Atherton Tablelands - and saw this beautiful waterfall. This is the Three Sisters rock formation in the Blue Mountains. At the lookout for the Three Sisters, we saw a real Aborigine playing his didgeridoo and talking with the tourists. Ha! It was honestly the best time of my life. 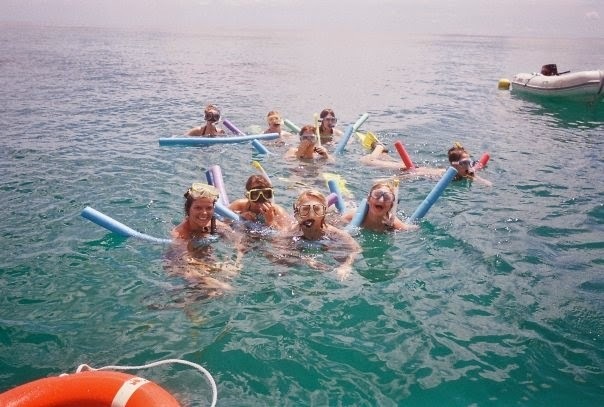 The friends I made while on that trip will forever be close to my heart - and the adventures we had are unforgettable. (If any of you girls read this: "Let's go back!") If you ever get the chance to go to Australia, don't hesitate - GO! The 14-hour flight is worth it. If you're in college and considering doing a study abroad - DO IT! Go sign up for one RIGHT NOW! You will learn more about yourself and life on one study abroad trip than you will in all of your college classes combined. Sorry, I'm not sorry for the photo dump. :-) Thanks for reading! Have you ever been on a study abroad trip? looks such an incredible trip--great pictures! #Bucketlist! Love the pics. Funny, I thought Aborigines were small and thin so that pic was a little surprising. See, blogs are teaching tools. Love this post! (And your blog, too!) It's borderline embarrassing how much I think of the fun we had on this trip. My heart will forever belong to Australia! Let's Go Back!